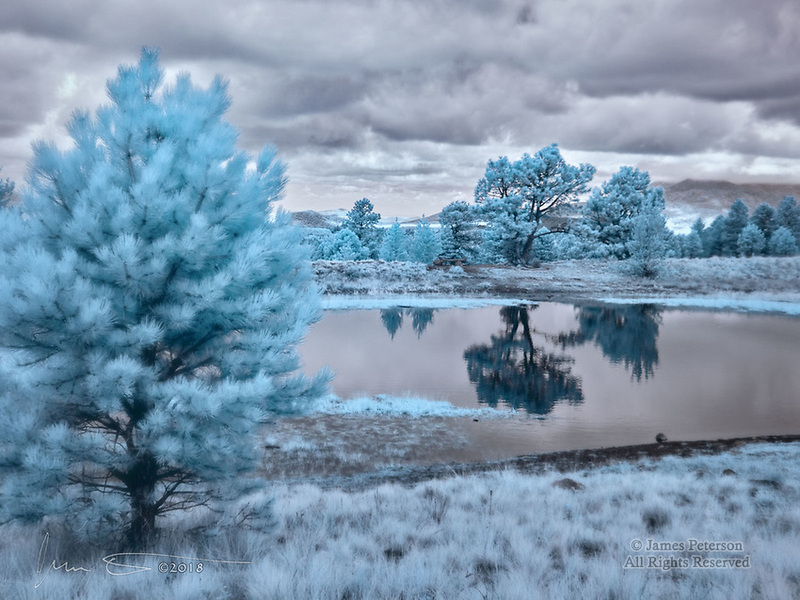 The Pond at Aspen Corner (Infrared) ©2018 James D Peterson. A stormy autumn day makes for a dramatic infrared image among the San Francisco Peaks of northern Arizona. Although there aren't actually any aspens in this scene, the ponderosas and other conifers provide their own ethereal glow when viewed in this invisible light.